As I’ve reported in a blog post a few weeks ago, all physical map projection images should be replaced with new versions. At that time; I already had exchanged the images with relief ocean floor, and now the images with flat ocean have been renewed as well. Thus, the update is complete. Moreover, last time I said I couldn’t generate of new version of the Kavraisky I image because of software problems. 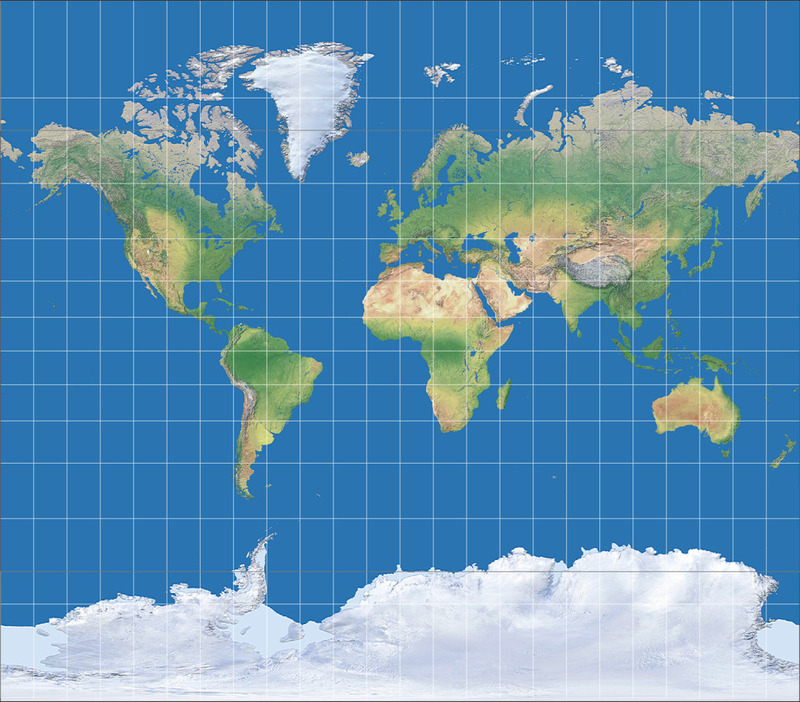 That hasn’t changed, but I’ve found a workaround: Kavraisky I is a fusion of Mercator and equirectangular projection. So all I had to do was to scale these two projections accordingly, cut them at 70° north/south and put them together correctly. As usual, I’m using a 15 degree graticule, but this time, I’ve added the parallel at 70° N/S so you can see where the two projections are fused.